Branson is quickly becoming well known for its variety of museum experiences…everyone knows about the world-class live shows, the award-winning theme park – Silver Dollar City, and the stunning scenery enhanced by the Ozark mountains and the beautiful lakes, but the entertainment scene in Branson has branched out, and now includes a growing list of fascinating and diverse museums! 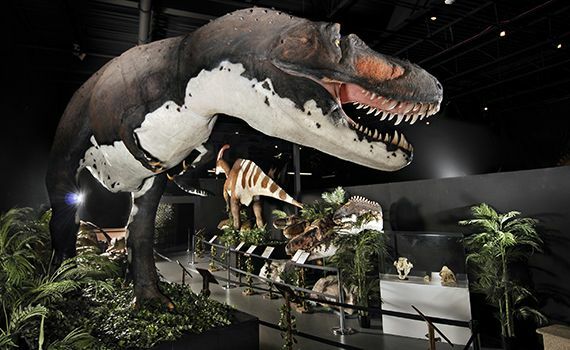 The Branson Dinosaur Museum is filled with everyone’s favorite colossal creatures! On a self-guided tour, you’ll discover everything from the gigantic, ferocious looking Tyrannosaurus Rex (T Rex), to the relatively tiny, one-foot-tall microrapter. Each dinosaur is displayed with descriptive details to help answer your questions, making it both an entertaining and educational adventure! The fascinating beasts on display were each lovingly created by trained paleoartists who carefully fashioned molds from original dinosaur skeletons; using stunningly realistic recreations of each creature allows for the display of a wide variety of dinosaurs. Branson Dinosaur Museum also features a learning center, a fascinating fossil exhibit, a great gift shop, and a special area to hold the best birthday party ever! The Ralph Foster Museum, with its incredible inventory of artifacts, can be found on the campus of College of the Ozarks; it’s easily one of the Branson area’s best kept attraction secrets! This compelling museum has grown from very humble beginnings in the 1920’s to become one of the Midwest’s foremost institutions of historical preservation. Its primary focus is to collect, preserve, interpret, and exhibit items related to the Ozarks’ region; however, the museum also contains items of historical interest from around the world. Visitors are fascinated by the amazing collection of guns and weaponry, many displayed with stories of their origins. Their most famous exhibit is an original truck from The Beverly Hillbillies television series; a popular show from the 1960’s that filmed several episodes at Branson’s Silver Dollar City. The Ruth & Paul Henning Nature Preserve in Branson is named for the show’s creator, a native of Missouri. Also located on the college campus is the Gaetz Tractor Museum. It’s a small facility, but it features an impressive collection of antique tractors and other farm equipment and implements, and there is no charge for admission. The Titanic Museum Attraction is not simply a museum; it’s an interactive attraction that shares the stories of those who were onboard for the famous ocean voyage that has fascinated the world for more than a century. Those who were lost, as well as those who survived, are memorialized in the displays, special events, and holiday celebrations held throughout the year. It’s a wonderful two hour, walk-through interactive experience for the whole family; entertaining and educational, it features everything from authentic artifacts to news coverage from the time of the disaster, to personal items from families and loved ones of those who were aboard. TripAdvisor has honored Branson’s “Titanic Museum Attraction” with the Award of Excellence for 2012, 2013, and 2014, and visiting journalists applaud its genuine and heartfelt tribute to every passenger. 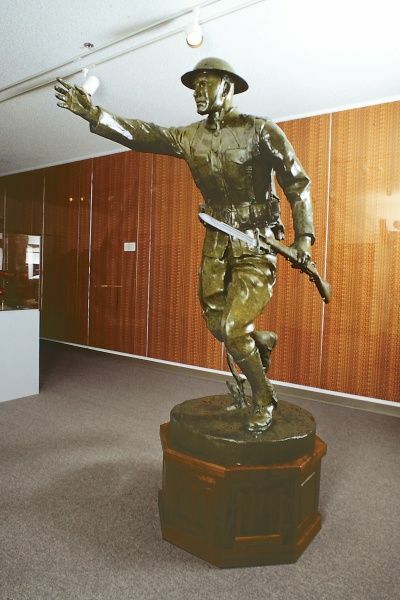 The Veterans Memorial Museum has taken Branson’s love for veterans and given it a place of honor. Discover tributes to those who served in WWI, WWII, Korea, Vietnam, the Persian Gulf, and in more recent conflicts. There are hundreds of exhibits, many of which have been put together with the help of veterans and their loved ones. You’ll find several halls to explore, each holding items of interest aimed at helping visitors capture a picture of wartime throughout several decades in America’s history. Displays include historical artifacts, murals, sculptures, uniforms, and anything that aids in telling the stories of our military. 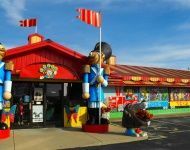 The World’s Largest Toy Museum in Branson is the perfect trip down childhood memory lane! Remember when your biggest wish was for Santa to bring you the latest Barbie doll, Hot Wheel, or toy from your favorite Disney movie? For every child, and child at heart, this is the most magical museum you’ll find anywhere. It brings back those idyllic childhood memories of the toys you cherished, and gives you an excellent opportunity to share that recollection of joy with your kids and grandkids. You’ll find toys and displays that range from the very first Barbie to those inspired by everything from the Lion King to Star Wars; Roy Rogers to the candy-coated chocolate joy known as the M&M; from Teenage Mutant Ninja Turtles to sports legends like Mike Tyson and Mickey Mantle…if it ever made you smile or even squeal with childish delight, you’ll find it at the World’s Largest Toy Museum! The Harold Bell Wright Museum, located within the World’s Largest Toy Museum, celebrates the man whose best-selling novel inspired the creation of the tourism industry in Branson. Harold Bell Wright was an early 20th century writer, artist, and minister who spent considerable time in the hills of Branson in the late 1800’s, and later penned his popular novel, The Shepherd of the Hills, based on his experiences in the area. The museum gives visitors a peek into the life of this early Branson tourist; you’ll discover the original manuscript of Wright’s famous book, his original paintings, woodworking tools, the furniture he once treasured, an impressive gun collection, and other fascinating artifacts. Educational tourism continues to be hugely popular with families and empty-nesters today, and the Harold Bell Wright Museum is an excellent example of learning as entertainment! There are several other amazing museums in Branson, including popular attractions like Hollywood Wax Museum, where you’ll discover wax figures of your favorite celebrities and other exciting attractions, and Ripley’s Believe It Or Not, the museum that houses oddities and wacky interactive displays. There’s also the Celebrity Car Museum where you’ll find more than 100 vehicles on display; many are also for sale, creating an ever-changing inventory. Just a few miles north of Branson, the Ozarks’ homestead of Rose O’Neill can be found. She’s the creator of the popular Kewpie Doll and other fascinating works of art; you’ll find a lot of her creations here at Bonniebrook. As you can see, museum lovers, as well as anyone looking for great family entertainment, will certainly find a lot to keep them happy in Branson!